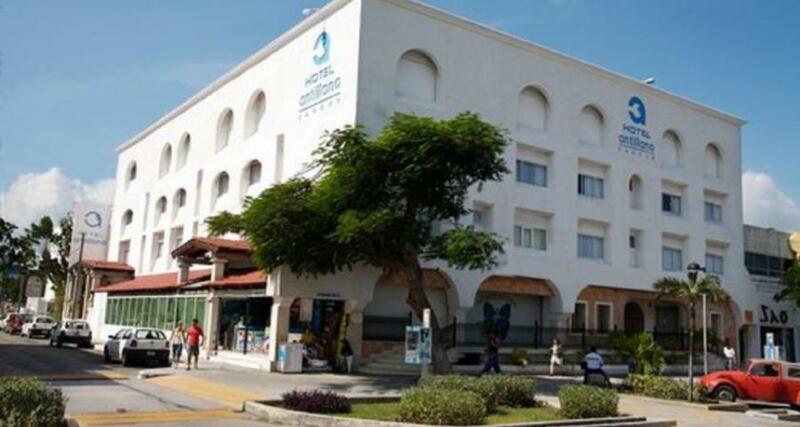 Hotel Antillano is a 3* hotel located in Cancun-Downtown, Mexico. It features 48 rooms and swimming pools. Hotel Antillano is located in the heart of Cancun and is just minutes away from magnificent beaches, restaurants, supermarkets, shopping centers, craft markets and banks. Guests can also enjoy easy access to the local bus station. Each air-conditioned room featured at the hotel comes with cable TV, a hair dryer, a telephone and free wireless Internet. The property also has an outdoor swimming pool and convenient onsite parking.